Nursing home residents in frail health are prone to falling and are susceptible to serious injuries as a result. For this reason, elder care facilities have a duty to routinely assess patients for fall risks and take proper precautions to avoid falling accidents. At many nursing homes, the sad reality is that patients suffer bad falls because of understaffing, inadequate training or pure neglect. The knowledgeable Los Angeles nursing home injury lawyers of Taylor & Ring stand up for the rights of residents at nursing homes, assisted living centers and other facilities. 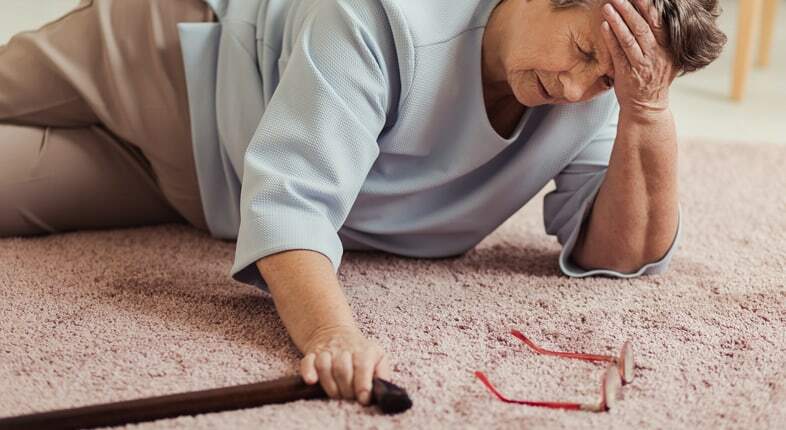 If your elderly parent or family member suffered serious injury in a nursing home falling accident, our attorneys are prepared to fight for your rights. Was your family member’s injury preventable? Falls from beds. Bed rails and appropriate restraints prevent residents from falling out of their beds. When staff members fail to use these safety tools, they put residents at risk. The fall from a bed onto a hard floor can lead to multiple broken bones and other severe injuries. Falls from wheelchairs. Wheelchair falls often happen when residents try to exit the wheelchair on their own because staff members have ignored requests for assistance. Unlocked wheels can also lead to serious falls from the chair. Falls while walking without assistance. Some nursing home residents require individual assistance when walking. If these highly vulnerable residents are allowed to walk on their own, serious falls are likely to happen. Falls in the shower. Shower floors can be extremely slippery, especially for an elderly person who is already at risk of falling. Therefore, when staff members send these residents into the shower without assistance, it shows a complete lack of adequate care. If the resident is left in the shower, he or she may sustain burn injuries as well. Fall in the bathroom. Many residents also require assistance when lowering themselves onto or off of the commode. Staff members who do not want to provide this assistance may negligently allow residents to utilize the bathroom facilities independently, leading to injurious falls. Patients dropped by staff members. When staff members attempt to move or transport patients on their own, without assistance from other staff members, they may be placing that patient at risk of a fall. Understaffing is often associated with these situations. Falls or injuries while wandering unsupervised. Adequate supervision is an essential part of nursing home care. Residents with significant fall risks should not be allowed to wander unsupervised. They may inadvertently fall from a curb or lose their footing on an uneven surface. Slip-and-fall hazards. Nursing homes also have a duty to maintain their premises in a safe manner to prevent slip and falls. Wet floors, loose rugs and walkway obstructions can all lead to falls and severe injuries. Our experience has shown us what to look for when investigating a nursing home fall injury. In many cases, frail patients tried to walk on their own because no one responded when they pushed their call button for assistance. In other situations, staffers forget to put up bed rails or attach safety restraints. Sometimes one staff member tries to lift a heavy patient when two employees are needed. The common results of fall accidents are hip fractures, broken legs, broken wrists, head trauma and other serious injuries. The suffering is compounded by the propensity for elderly people to heal slowly. Elderly fall victims may also be too frail to withstand needed surgery. We hold nursing homes and assisted living facilities accountable for neglect and abuse under California’s strict elder abuse laws, taking them to task for putting profits ahead of patient safety. Our pursuit of compensation includes such costs as past and future medical treatment, permanent disabilities, and past and future pain and suffering. We understand that your elderly family member may feel hesitant about holding at-fault parties responsible for their actions. That’s why we work hard to minimize their exposure to the court system. However, in some cases, litigation is the best option for securing the compensation your loved one deserves. Our aggressive Los Angeles personal injury litigators have the skills to mount a case that produces a high-dollar award, while also influencing elder care facilities to improve their hiring, training and supervision policies. We have had many successes with filing these claims and we are confident in our abilities to garner the same results in your case. If your loved one has unexplained injuries or you believe that his or her falling injuries could and should have been prevented, turn to the skilled attorneys of Taylor & Ring. We are dedicated to fighting for the rights of nursing home residents. Call our office at 310-776-6390 or fill out our contact form to discover how we can help. Your first consultation is free.